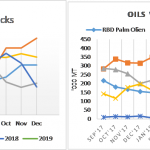 Malaysian palm oil futures extended the loss due to lesser than forecasted fall in stocks and lesser than anticipated export pace in the month of March. MPOB data pegged March end-stocks and output higher than forecast. March end-stocks were down 4.6 per cent from February at 2.92 million tonnes, while output rose 8.3 per cent to 1.67 million tonnes. Meanwhile, exports surged by 22.4 per cent from February to 1.62 million tonnes. MPOA reported 1-31 Mar CPO production vs Feb at P.Malaysia up 2.19%, East Malaysia up 3.14% and Malaysia up 2.53% with the estimated total production of 1.64MMT. while SPPOMA reported 1-5 Apr production up 1.85%, FFB Yield up 3.74% and OER falling 0.36% month on month. However, the upcoming Ramadan festival in May would create a labour shortage at plantations and could potentially hurt production whilst increasing domestic consumption. 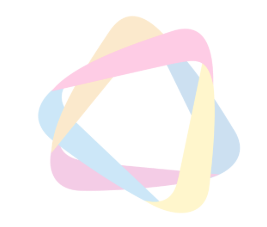 Export data for 1st 10 days of the April pegged at 481,425 compares to 453,283 in Feb’19 at the same time, which is 6.21% higher than last month. The Indonesia government estimates that the full use of B30 by 2020 will make the absorption of Crude Palm Oil (CPO) for biodiesel reach 9 million tons, excluding exports of around 1.5 million tons. However, The palm prices may recover some losses of the week tracking the Dalian palm market. The weakening in Ringgit could boost some buying of Malaysia palm thus underpinning the price. overall fundamentals are still bearish for palm market for coming days.